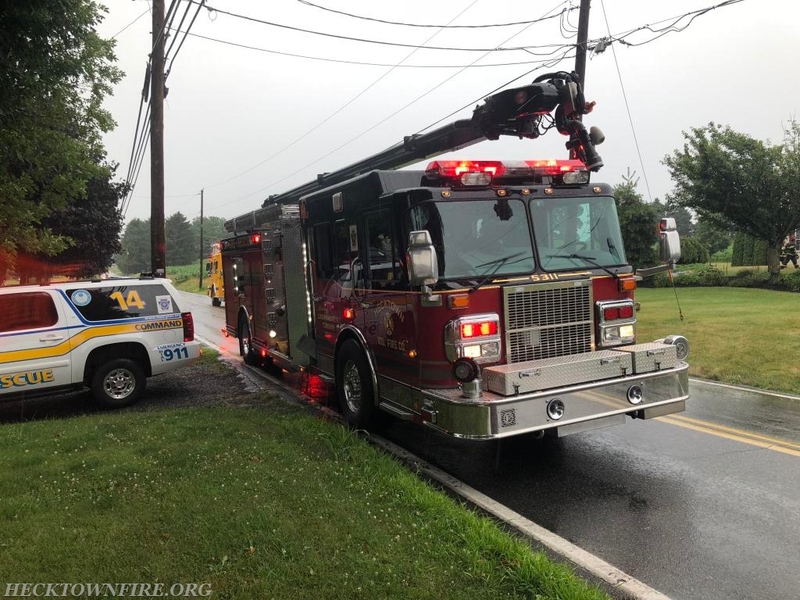 Fire 53 and Fire 14 (for 1421) were dispatched to a reported lightning strike on a dwelling in the 4900 block of Steuben Road. 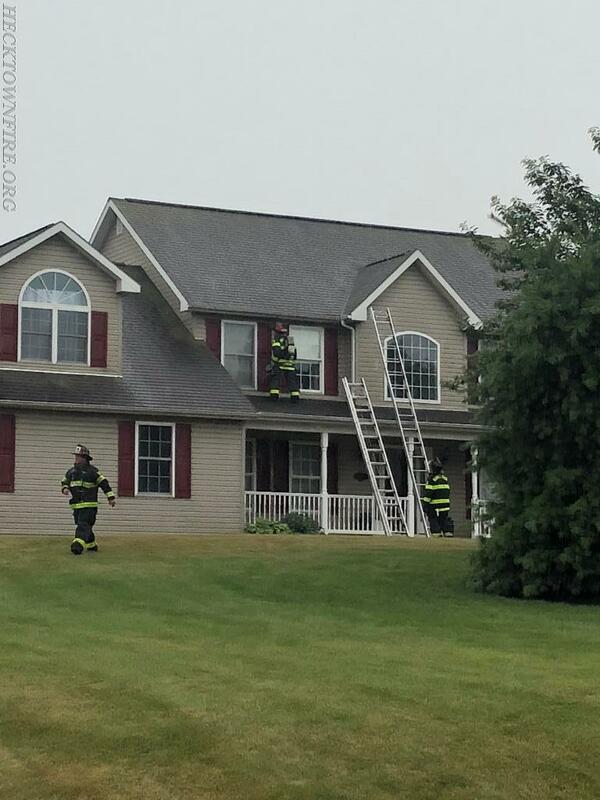 Caller reported that the house across the street was struck by lightning and there was smoke showing from the attic. 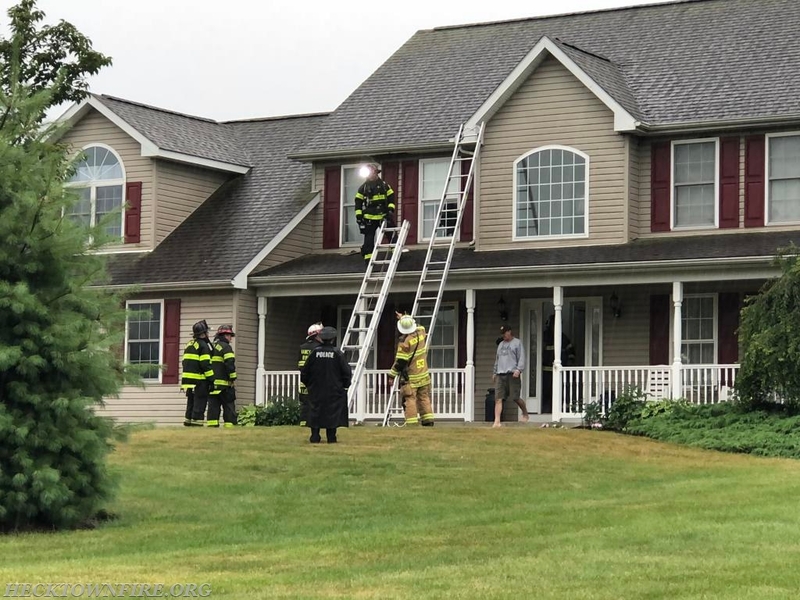 A later call from the homeowner reported smoke in the attic and damage to the electrical system. 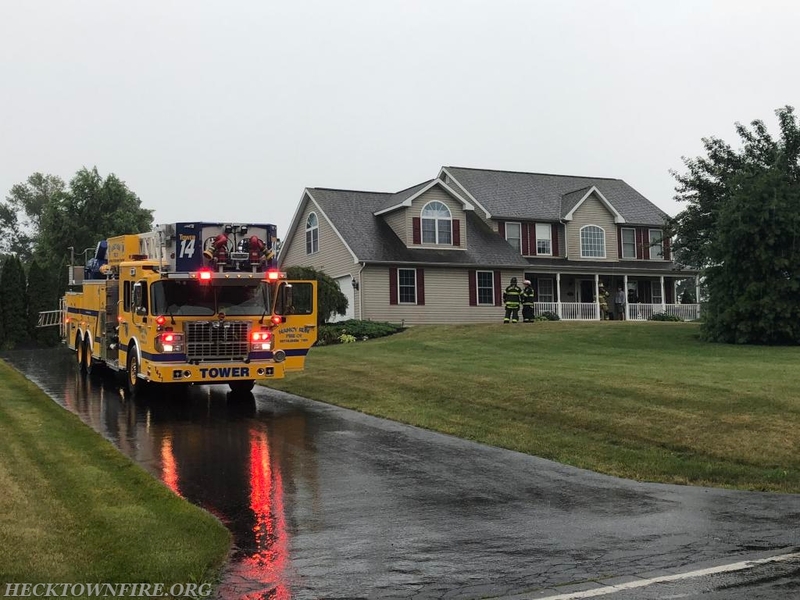 5351 (Chief Seip) responded to the scene and found a light smoke condition in the home with evidence of a lightning strike visible on the exterior and interior of the dwelling. 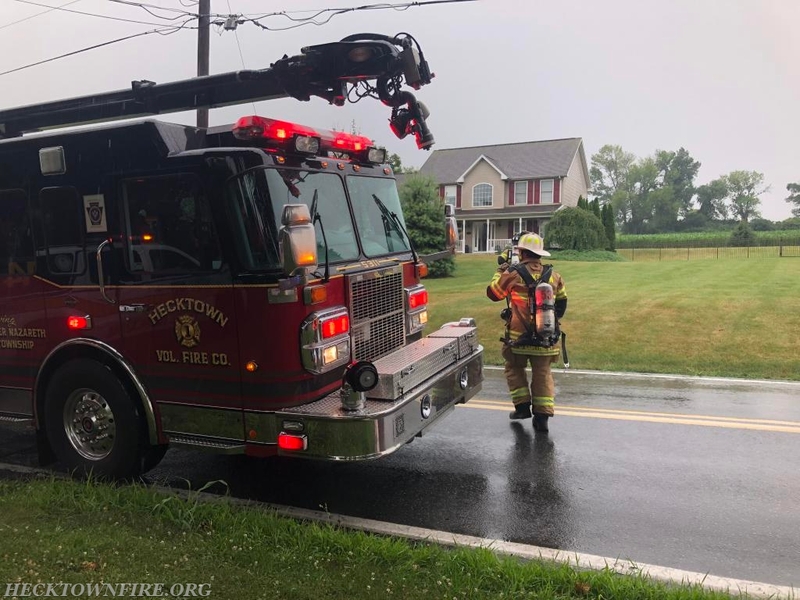 The crew from Engine 5311 (AC Cortright) took interior operations and 1421 with 1451 (Chief Lenner) assessed the exterior. 5331 (AC Hinkel) and 5312 (FF Lambert) prepped for water supply operations. No fire was found in the dwelling and all units cleared within the hour. EMS 17 (Bethlehem Twp) stood by at the scene and CRPD handled traffic. 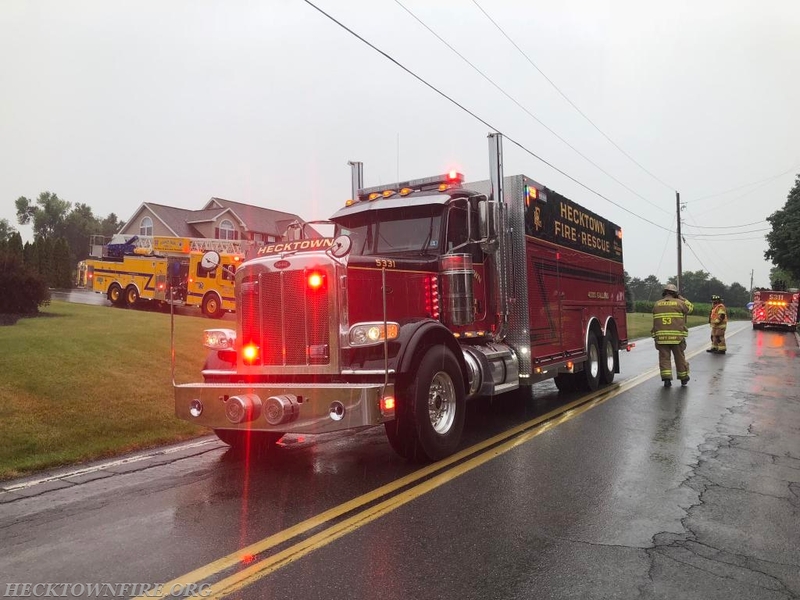 Thank you to Dan Clerico of Northeast Bravest for the photos.